SideFolders keeps your files on the left or right of your desktop so you can access them with a flick of the wrist. Recent files and downloaded files have never been so easy to find. With the contextual menu you can fire up the file you just downloaded in your favorite application. Stop wasting time digging for the same files all the time. Put the files you frequently need in SideFolders and have them open in seconds. Drag & Drop files from and to any application without losing sight of the application you are working in. Need to upload a file to a website ? Just Drag & Drop on the file chooser dialog and be done with it. 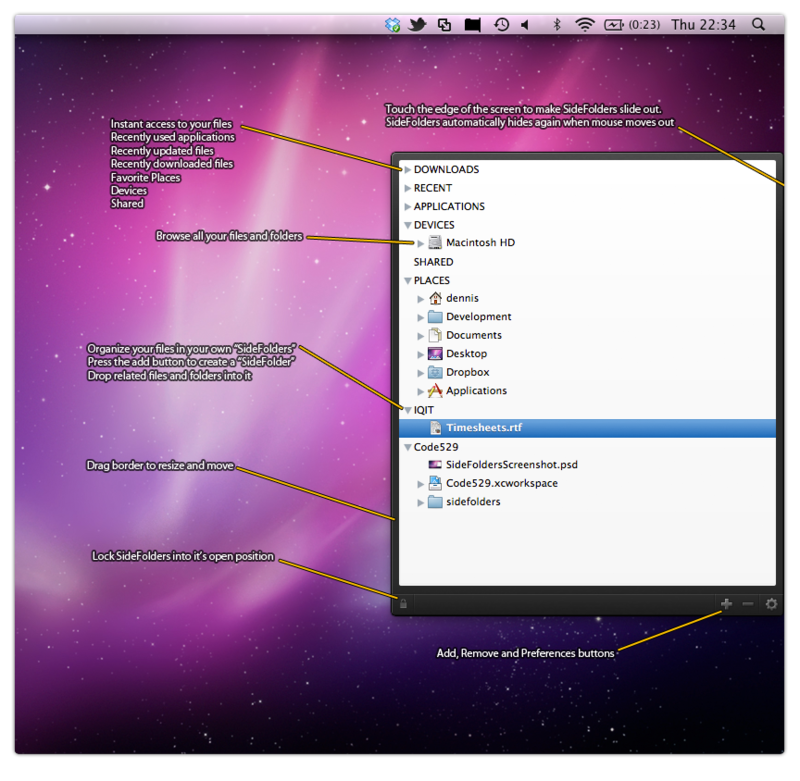 Create a hierarchy of SideFolders to organize your files the way you want. Unrestricted by the physical location of your files.